The Governor’s Celebration of Innovation honors technology leaders and innovators from across the state. 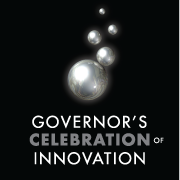 Prism Global Marketing Solutions is delighted to be a sponsor of this year’s Governor’s Celebration of Innovation. We feel the technology space in the state of Arizona is continuing to grow and evolve, and we are excited to be a part of this movement. Prism Global Marketing Solutions, an inbound marketing agency and HubSpot Gold Partner based in Phoenix, AZ, is excited to be a sponsor of this year’s Governor’s Celebration of Innovation presented by the Arizona Technology Council and Arizona Commerce Authority. The Governor’s Celebration of Innovation (GCOI) is the Arizona Technology Council’s (AZTC) annual awards gala in partnership with the Arizona Commerce Authority (ACA) that honors technology leaders and innovators from across the state of Arizona. The event attracts more than 1,000 attendees each year for a night of networking, food and entertainment. The event features the Technology Showcase of over 50 Arizona companies exhibiting. These companies consist of award finalists, sponsors and AZTC partners. GCOI will take place at the Phoenix Convention Center’s West Building on Thursday, November 12, 2015 from 4:00 PM – 8:00 PM. In addition to being a sponsor for this event, Prism Global Marketing Solutions is also a Business Essentials Program partner with the Arizona Technology Council offering complimentary inbound marketing assessments and discounted inbound marketing services to Arizona Technology Council member companies. Visit Prism Global Marketing Solutions at booth #43 to learn more about this unique program. “Prism Global Marketing Solutions is delighted to be a sponsor of this year’s Governor’s Celebration of Innovation. We feel the technology space in the state of Arizona is continuing to grow and evolve, and we are excited to be a part of this movement,” says Elyse Meyer, Founder of Prism Global Marketing Solutions. Click here to learn more about the Governor's Celebration of Innovation.